My camera was totally unprepared for how unbelievable pretty Singapore’s architecture is. If I’m going to go whole hog with some ridiculous verbs, I’ll throw it out there and say the place is wonderfully ‘Instagrammable’. Every street has a personality, but ultimately, it has colour. 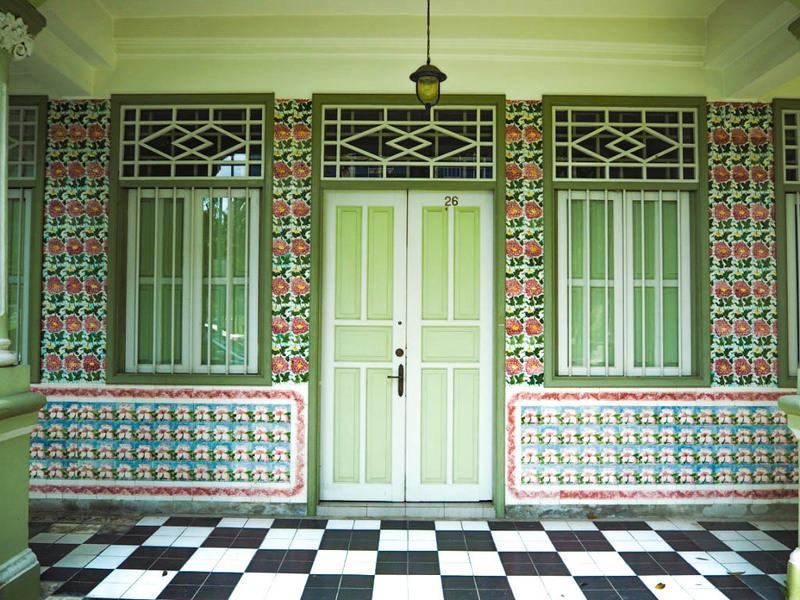 Bright blocks of boldness, mosaics and patterns on tiles and walls, and the shutters. Well. I could photograph those shutters for days and not get tired of them (and to be honest, that’s pretty much what I did do!). Chinatown was obscenely gorgeous and massively awash with a rainbow of shutters. 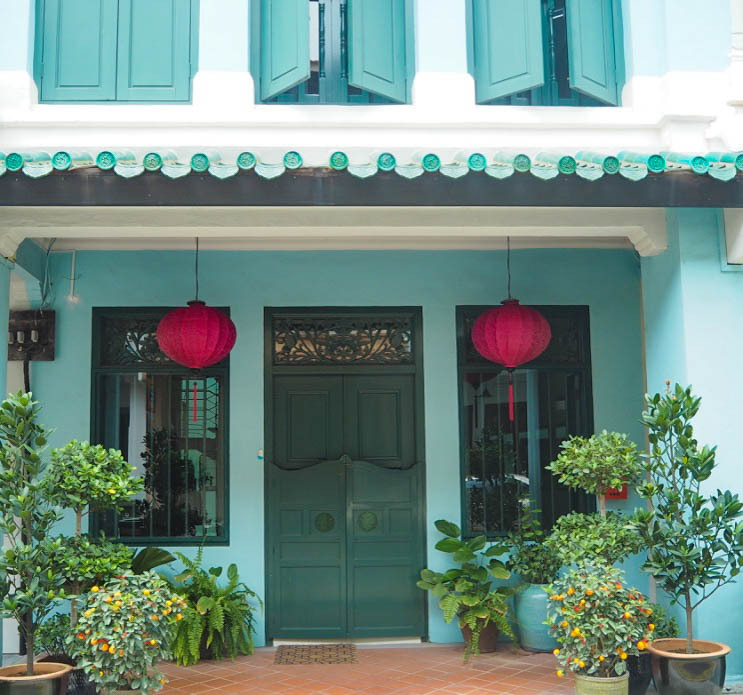 After I’d had an amazing breakfast at Ya Kun Kaya Toast, I set off to explore Thian Hock Keng temple but was totally distracted once I hit Boon Tat Street. Luscious green palms provided shade for row upon row of terraced houses, and arriving on Amoy Street (seen in the first photo above) I was in my element. I’m sure I looked like a total loon standing in the middle of the road snapping away! Blair Street was a bit further away from the centre of Chinatown, but well worth the visit. 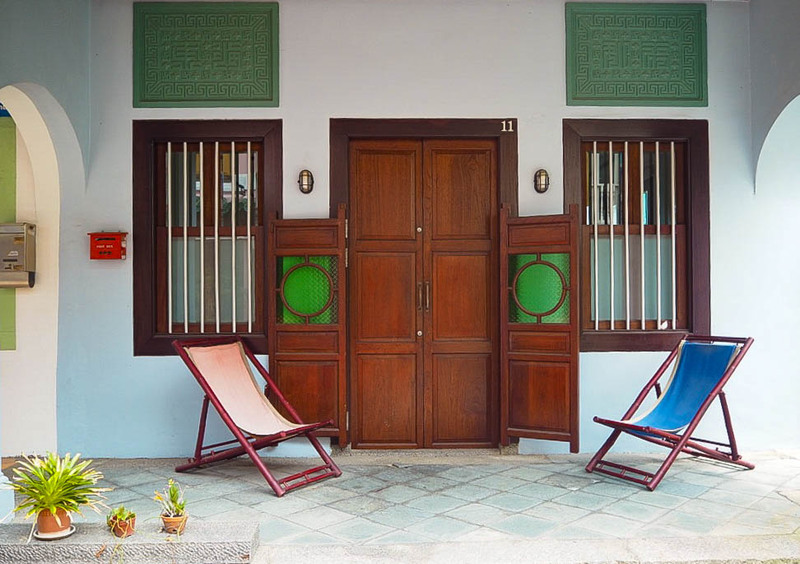 It is truly stunning; every single property is decked out differently, from the colour of the paint, to the doors and plant life. Such unique identities and a vibrancy I’ve never seen in the UK. 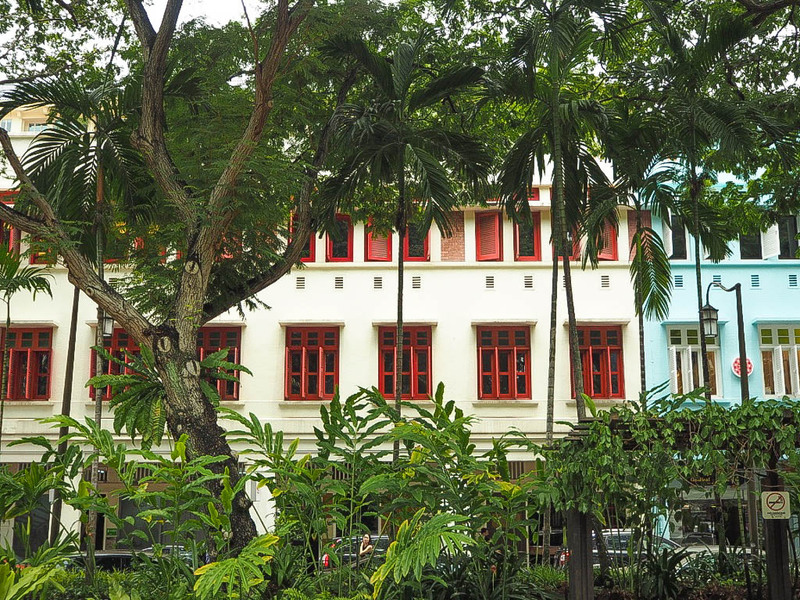 Nearby Orchard Road is the weirdest mix of old and new you could ever experience. Most famously it’s home to huge shopping malls, but about 2km away is a rainforest. So bizarre. 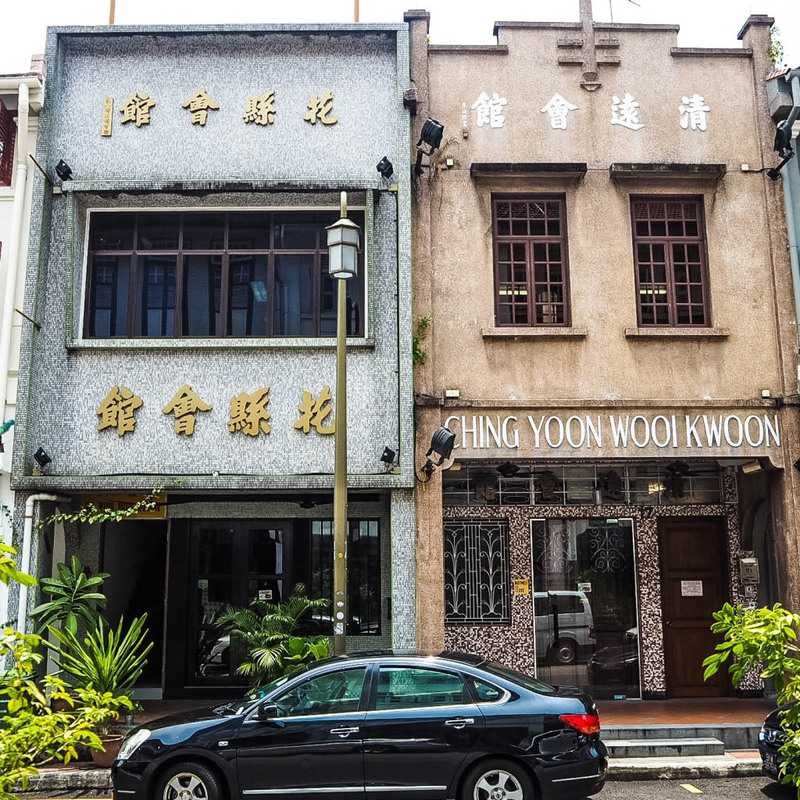 But I wasn’t fussed by the chain stores and shiny buildings, so I went for a wander instead and found these amazing art deco houses on Orchard Hill Road. Totally unexpected but such a treat. 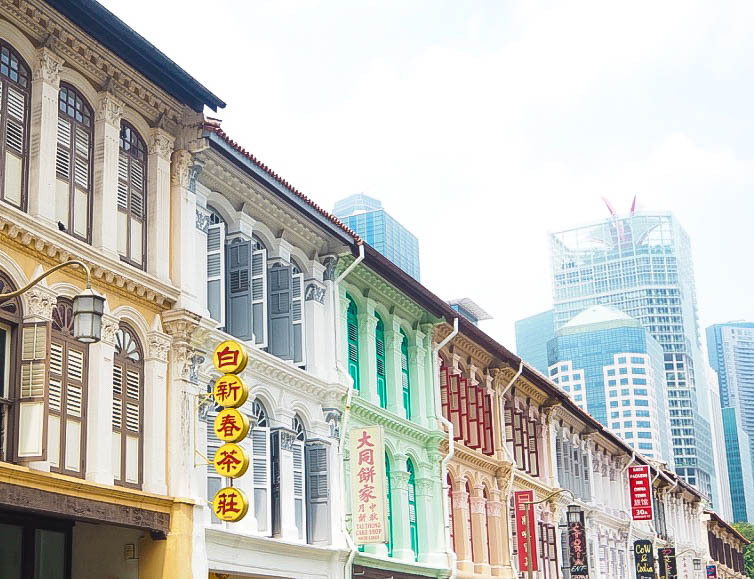 I’ve already gone on about beautiful Little India, but a short walk away from there is Jalan Besar, home to some wonderfully hipster coffee shops and Petain Street. 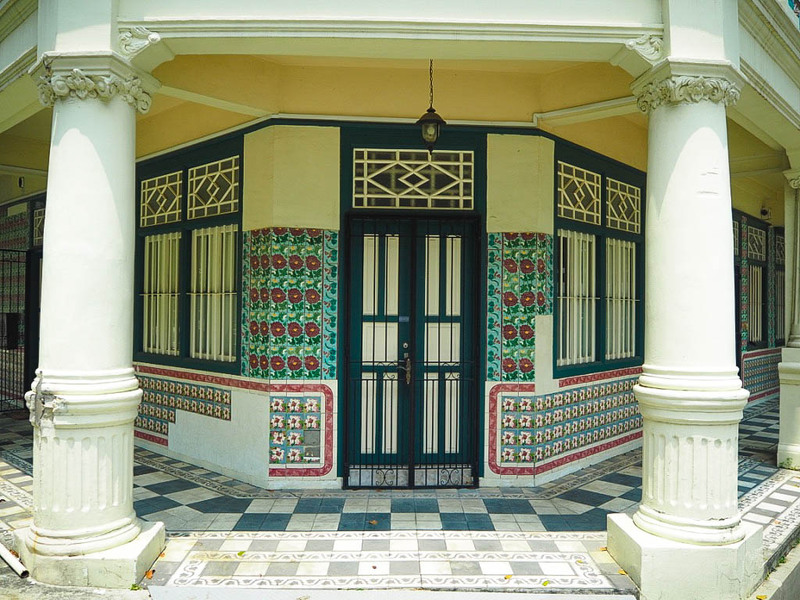 This road is lined with 1920s terraces and the tiles are out of this world gorgeous. The pastel colours and floral patterns are really striking; from floor to ceiling it just made me so bloody jealous of the people who live there. I love how Singapore continued to surprise me with, literally, every corner I turned. It is such an unexpectedly vibrant place to visit with such an incredible character; I honestly cannot wait to go back.